During my run the other day I was thinking about the word strong. The first thoughts when you hear the word strong is, actual physical strength. A muscle man or some bodybuilder. But as you think about it more, there is so much more to strong than physical strength. To me, strong means you keep fighting when things get hard. I remember at the beginning of my running life, I was so weak mentally, and I still have a lot to work on that. I remember feeling so discouraged after a race, because mentally I had given up half way through that race. It lowered my confidence and made me antsy and want to be better more than before. It gave me more drive to be better, but I didn't know how to be mentally stronger back then. Becoming mentally strong is one of the most important things as a runner. Half of the struggle in running is mental. Especially when you're pushing yourself further or faster than before. Most of us know what to do to become physically stronger, but we struggle a little bit in knowing how to help our mental strength. When I think of mental strength, one of the things that usually comes to mind is endurance. Adding mileage a little bit at a time helps our brains feel strong and able to keep going. It's kind of like biting off small pieces instead of more than we can chew. We head out for one of our first runs (or first runs in a while) and think, ok I'm going to run 4 miles today! I ran that far a couple of months ago and I haven't been running since but I'm going to do it today. Halfway through that run your brain is going to be feeling discouraged and frustrated and want to give up. But if we start out slow and work our way back up, our mental strength will have the same amount of gains as our physical strength. The thing that builds up our mental strength most, in my opinion, are the hard runs. I think our minds give up a lot easier and faster than our bodies will. You know those hard days when you go out for the normal easy paced run and your brain just doesn't want to do it that day? Your body feels great, but mentally you're just not there. This is one of the most frustrating things to me. But these are the runs that really give you that good mental strength later on. One of the things I really like to do when I have those days is trick my brain. I pick a landmark (that stop sign, a building, a flagpole, the corner...whatever) and I tell myself I'm going to keep going until that landmark. Then I can stop and take a break or walk. When I get to that landmark, I usually find another one and make another goal to get to that landmark and so on. When you start to feel frustrated because "this shouldn't be that hard today" remember that every time you feel like quitting and you keep pushing instead, that's what makes you stronger. Having good runs is (obviously) a huge help in strengthening your mentality too. This helps in the way that you can look back on those good runs and remember that you can do hard things. Those runs are the proof to you that you really are strong and you really can do the things that sometimes your brain tells you that you can't. When you have a hard run and you feel like quitting early, or you feel discouraged because you can't hit your paces. 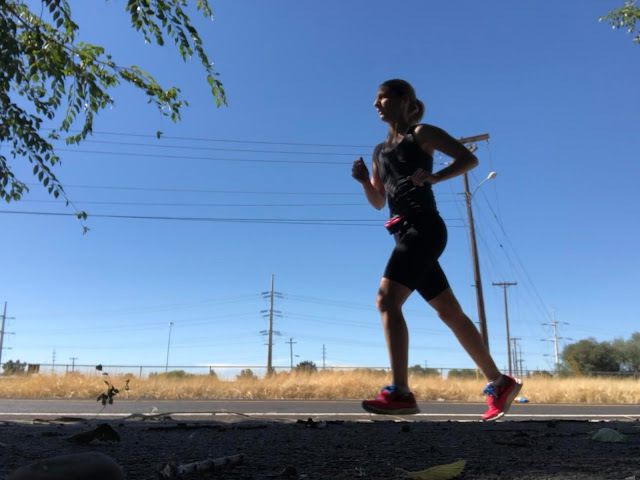 Remember the runs that you did the days and weeks before that felt amazing and remind yourself that one run doesn't define who you are as a runner. Some days are just hard. Sometimes we have to talk ourselves into being tough. This is what mantras are for. When I start to feel like giving up or my brain starts to think of how tired I am or how much my legs are burning, I focus on my favorite mantras. One of my favorite things to tell myself over and over is "I can do hard things" or "I've got this". It just helps me find the drive to push just a little longer and finish what my goal. 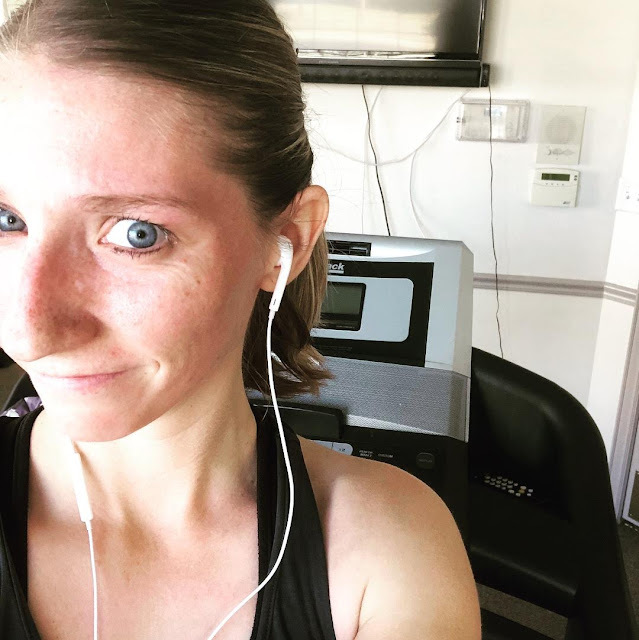 Also reminding myself to smile helps me push through the hard runs and make myself mentally strong because it reminds me that I'm choosing to run and I love to do it. Also, did you know that smiling while you run has a huge impact? Strengthening my mentality is something that I'm constantly working on. I feel like I'm just now figuring these things out. Being mentally strong is something that improves my running every day. 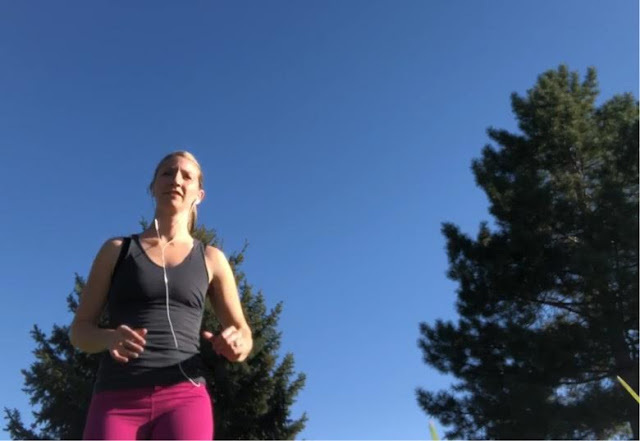 Using these tricks and reminders in my running help me to improve and enjoy my running more. What does the word strong mean to you? Do you have any tricks to help keep you going when your mind wants to give up? Any favorite mantras or phrases?